The number of licensed premises in Eastbourne is on the increase, according to latest statistics. In 2013 the total number of venues serving alcohol was 432 compared to 449 in 2017. Those premises include not only pubs, but also cafes and restaurants, off-licenses, hotels and late night eateries. More than half of those venues fall within a designated area where what is known as a Cumulative Impact Policy is in place. That area includes all of the town centre and the vast majority of the seafront. It means that when deciding whether to grant a licence or not, Eastbourne Borough Council must take into account the impact on preventing crime and disorder, public safety and preventing public nuisance. Of the 449 licensed premises across the borough in 2017, 256 of those are in the designated CIP area. But while the increase in licensed premises over a four year period will not come as a surprise, it is the type of premises being licensed which reflects a change in trends. In 2013 licensed premises within the CIP included 44 pubs, 78 cafes/restaurants, 32 off-licenses, 59 hotels, 19 late night eateries and 21 others. Fast forward to 2017 and the number of pubs licensed within the CIP has dropped to 33 and the hotels down to 45. But the number of cafes/restaurants licensed has jumped to 104. In recent weeks Urban Ground in South Street has been granted a licence to sell alcohol and other applications for other similar venues are being considered. 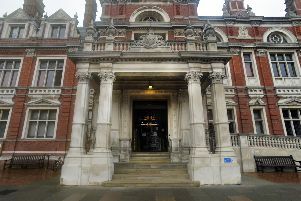 Under licensing laws, local authorities must review their licensing policies at least every five years and only recently Eastbourne council consulted on the CIP. The options during the consultation was to reduce the size of the CIP area by removing streets in the Little Chelsea area of the town; to make no changes to the existing CIP or to remove the existing CIP from the council’s licensing policy. Some 76 per cent said the CIP should remain the same and this decision was endorsed by the council’s licensing act committee earlier this month. It is expected to be ratified by the full council later this year.